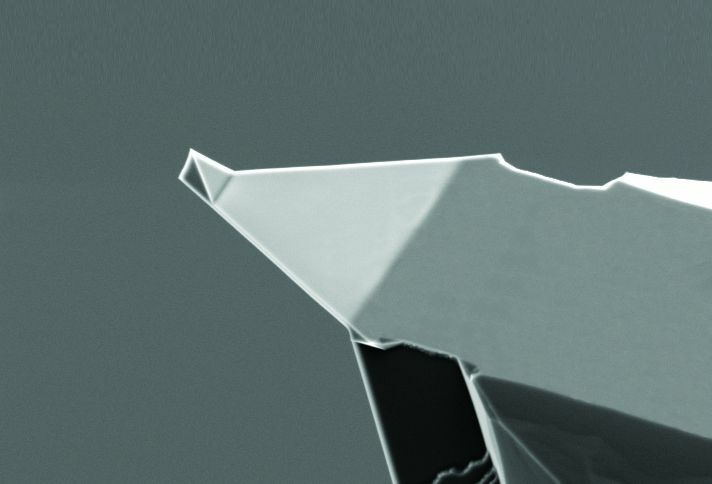 A PtIr-coated NanoWorld Arrow-EFM cantilever with a nominal spring constant of 2.8 N/m and a typical resonant frequency of 75 kHz was used in all imaging modes mentioned in the article. Figure 3 from “Ferroelectric domains and phase transition of sol-gel processed epitaxial Sm-doped BiFeO3 (001) thin films” by Zhen Zhou et al. : PFM scanning results of the sample at 20 °C, 80 °C, 140 °C and 200 °C, (a)-(d) out-of-plane phase, (e)-(h) out-of-plane amplitude, (i)-(l) in-plane phase, and (m)-(p) in-plane amplitude. 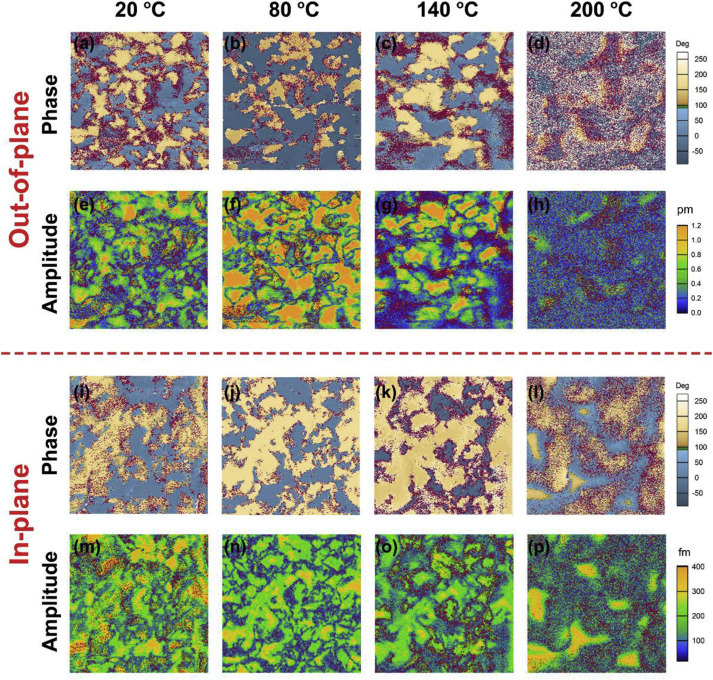 Open Access The article “Ferroelectric domains and phase transition of sol-gel processed epitaxial Sm-doped BiFeO3 (001) thin films” by Zhen Zhou, Wie Sun, Zhenyu Liao, Shuai Ning, Jing Zhu and Jing-Feng Li is licensed under a Creative Commons Attribution 4.0 International License, which permits use, sharing, adaptation, distribution and reproduction in any medium or format, as long as you give appropriate credit to the original author(s) and the source, provide a link to the Creative Commons license, and indicate if changes were made. The images or other third party material in this article are included in the article’s Creative Commons license, unless indicated otherwise in a credit line to the material. If material is not included in the article’s Creative Commons license and your intended use is not permitted by statutory regulation or exceeds the permitted use, you will need to obtain permission directly from the copyright holder. To view a copy of this license, visit http://creativecommons.org/licenses/by/4.0/.